Access Amazon through this page and Amazon will donate up to 8.5% of your purchase. If you use your Red Card and Target is designated as ‘your’ school Target will donate 1% of the purchase. Details here. If you have a Kroger card and connect your Kroger account to The Globe Academy (org. number 23254). This MUST be updated every year. Details and application here. Shoaparoo is an app. Shop ANYWHERE for ANYTHING and simply take a picture of the receipt and ad it to the app. Read details and download app here. Save the box tops from these products and mail them to The Globe or us. Information about box tops for education here. Buying uniforms from Lands End means that Lands End will give the school 3% back. 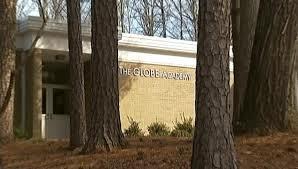 The Globe Academy’s page is here. Use gift cards from Shop with Scrip and a portion of the gift card amount will be donated back to The Globe. Need enrollment number here.